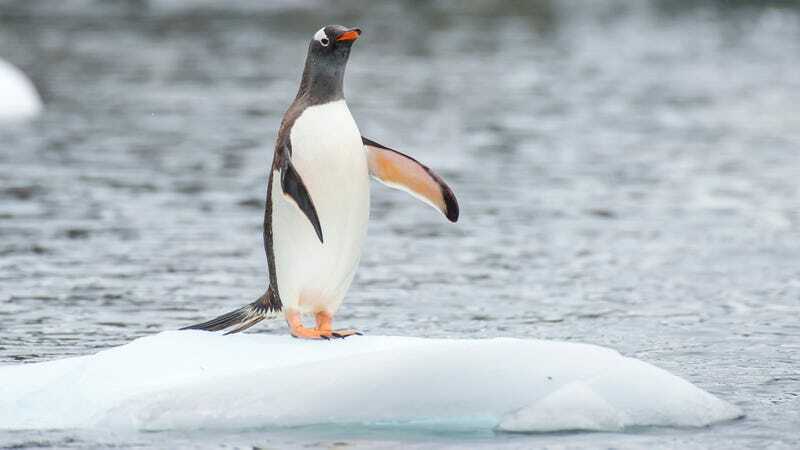 The effects of global warming are becoming alarmingly clear more and more each day, but the latest finding by scientists at UCLA could prove to be the most worrying yet: According to their research, penguins will look incredibly stupid when they’re dying from global warming. This is a truly grim prognosis for the future of our planet’s wildlife. Penguins are going to look like complete doofuses as they go extinct, and it may already be too late to help them. The study, published in this month’s Journal Of Science, reports that as rising global temperatures continue to shrink the Antarctic ice sheet, penguins will inevitably make complete dumbasses of themselves as they begin to slip around in the thawed-out mud and fall beak-first onto the soggy ground. The report speculates that by 2035, as much as 93% of the current penguin population will resemble slapstick characters straight out of vaudeville as they wobble and face-plant all over the iceless bedrock of the thawing Antarctic continent. Wow. This is truly devastating. Mankind’s carelessness with the environment will undeniably spell a hard-to-watch, hilarious end for these incredible creatures unless something is done immediately.